I adored this SugarPea Designs 'whatever the weather' set of clear stamps when I saw it in a card making magazine and put it on my Christmas list - but I hadn't actually used it yet! That was rectified this weekend when I made a few different cards using the set. The first was this 'get well soon' card - I never have generic cards like this in my folder as I tend to concentrate instead on making cards for upcoming birthdays and special occasions, but it's good to have a few other cards ready as you never know when you will need them. I took a cream card blank and started by cutting a border from a piece of patterned paper. The paper had different coloured stripes so by cutting a thin piece along the length, I was able to get a little of each stripe, which made for a colourful border pattern. The other decorations are all from the stamp set - first I positioned the cloud and the raindrops together (they are separate stamps) and stamped them twice at the top, then stamped two umbrellas at the bottom. The stamp set has two umbrella designs, one a block colour and the other spotted; I stamped one in blue and one in pink. The umbrella handle is a separate stamp with a gap in the top that fits over the coloured part, so by using a clear acrylic block you can position it exactly to go either side of the pink and blue parts. Finally the sentiment which I really like - the typeface is really nice and I'm always looking for sentiment stamps that feature an actual phrase rather than just a word or a straightforward 'get well soon'. This is quite a simple card but I really like the way it has turned out. 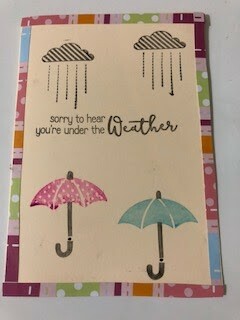 I'm sharing this with Crafty Addicts where the theme is April showers, Trimmies Craft Challenge which has 'get well soon' as the topic, and The Sisterhood of Snarky Stampers where 'U is for umbrella', though the sentiment isn't exactly snarky so I hope this counts! I'm also sending it to Addicted to CAS where the code word is rain. Super cute, love the colours. Thanks for breaking out your brolly for Edna and the sisterhood of snarky stampers!! What a great card. Thank you for joining the CRAFT challenge this week. We may be snarky, but we happily accept non-snarky cards. :D Besides, the person you eventually have to give this to may be the one feeling snarky anyway! Very sweet card with the umbrellas, rain clouds and sentiment. Thanks for joining the fun at the Sisterhood of the Snarky Stampers! I have a similar set of stamps too, perfect for "April showers" themes as well as get well cards. Your card is lovely and I get to comment on it wearing two hats today, because as well as being a DT member for Sisterhood of Snarky Stampers (where snark is actually optional although we love it!) I'm also this week's Guest Designer at CRAFT, so thank you for sharing with BOTH challenges. perfect cheery get well card! so glad you joined us at SOSS! Super sweet get well card, you know there are just some cards that you can't snark on. I've run into a few and I'm supposed to be snarky lol. 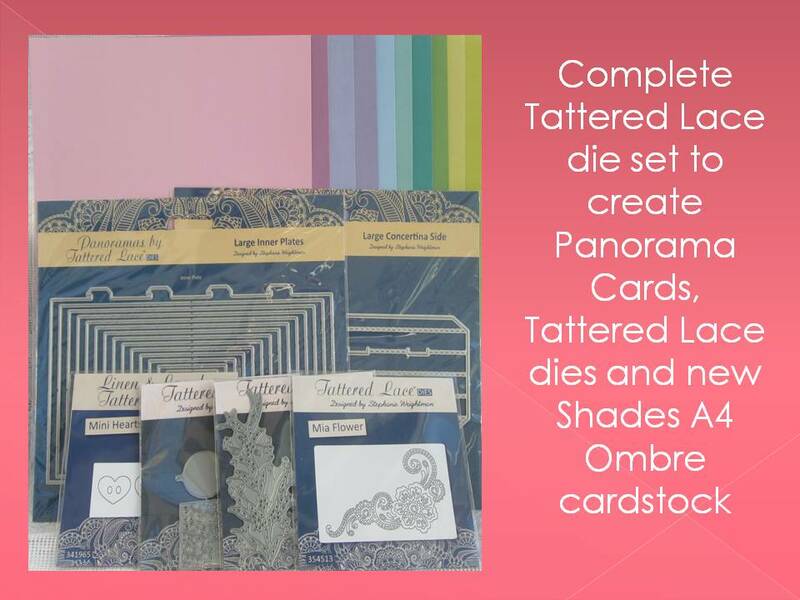 Thanks for playing along with us at the Sisterhood of snarky Stampers for U is for Umbrella.